Finally finished, my part, on a long standing Restomod project. 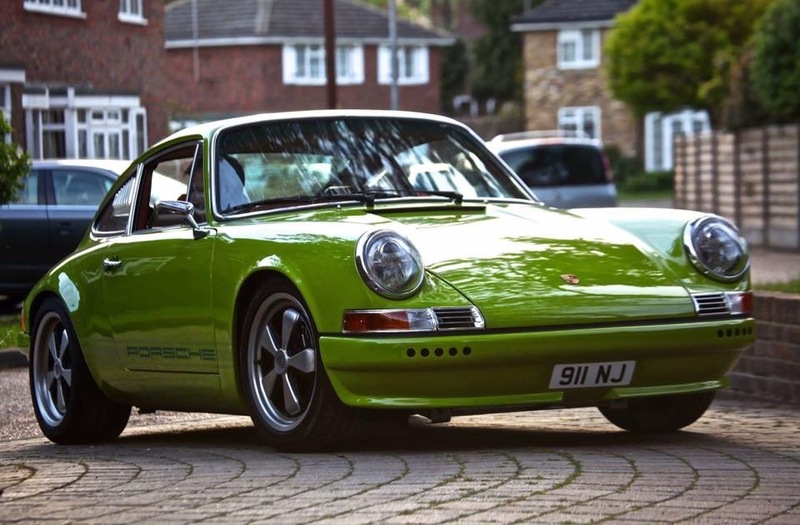 Ollie Preston at RPM Technik managed the overall project putting together all of his years experience in air-cooled Porsches to work. The donor car was a Porsche 964 which was completely stripped back, dipped and reassembled with many new and bespoke parts, including natural vegetable tan leather and custom carbon fiber panels. The engine pumps out over 385bhp on an air cooled naturally aspirated car weighing just over 1100 kilos “a lively drive”. My small part was the icing on the cake; refining the paintwork. 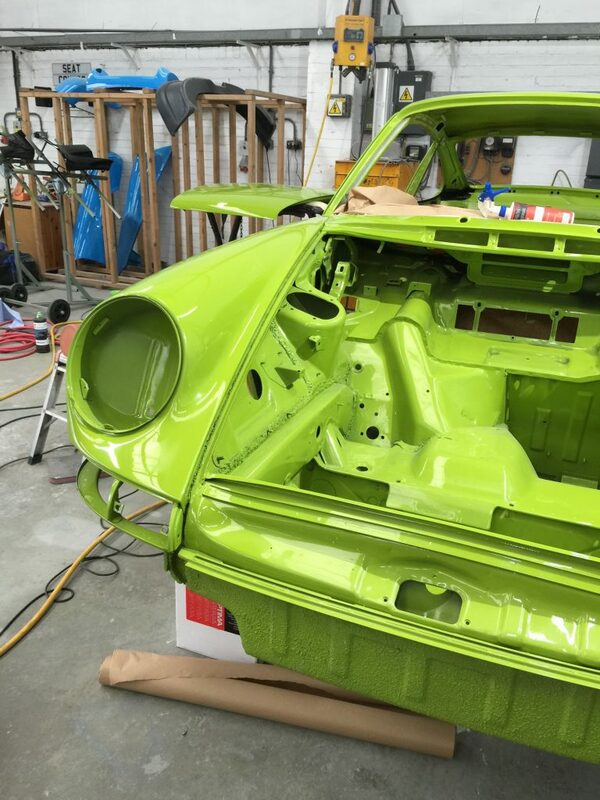 The Porschephile owner and good friend, Nick championing this whole project had asked for the finish to be perfect, this meant a lot of collaboration between Phil, the chief painter at Pennings Bodyshop and myself. For Phil his part was to prepare the panels and layer two-pack acrylics leaning thickness towards three times that of modern factory finishes. A good chunk of primer was also needed to hide the carbon fiber weave so all panels were smooth and even. All of this he personally crafted and baked in a clean dust free environment to make sure contamination in the paint was kept to a minimum. Then we sanded back and polish so the paintwork was optically perfect. There was to be no orange peel and no defects; it had to be perfectly smooth. 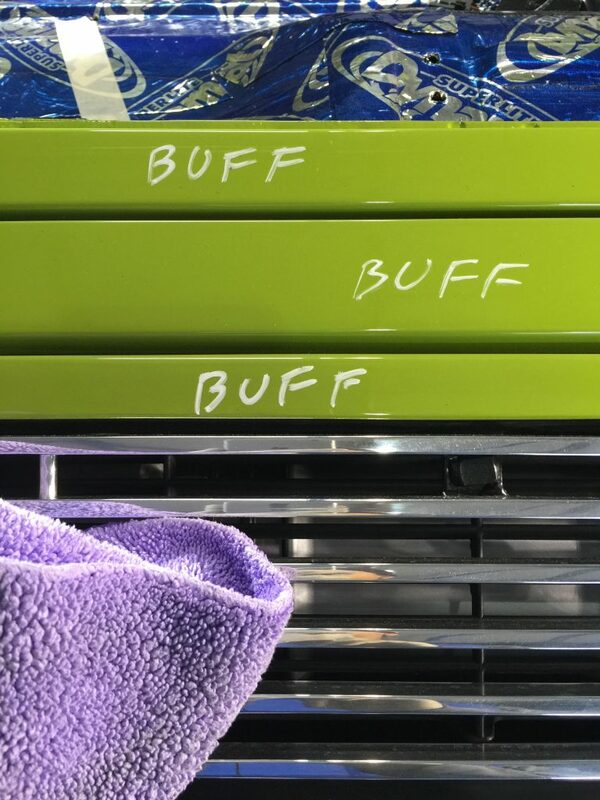 The shine that we were to get and the flatness of the paint for that mirror finish would hold no prisoners; even the smallest of defects would show up like a wart on a super models face. Sanding and polishing, I was regularly hearing the cry of “stay away from the edges” from Phil. It was nervous times for us both. Saliva and 1500 grit became my perfect companions to spit and polish out that super models face, warts’n’all. It would seem that old school saliva has many useful polishes for wet sanding, mine was just less well trained than Phil’s. Final refining was done using 3M reassuringly expensive Trizact abrasive pads 3000 and then 5000. The polishing stage had to b e just that, all correction was done at the sanding stage to get it smooth. But this stage would show if we had not quite caught it so still there were a few returns. Carlos Santana’s “Smooth” was drumming through my head but towards the end this project it got overtaken by the Mario Bros. My hands, face and clothes were slowly turning chartreuse green. 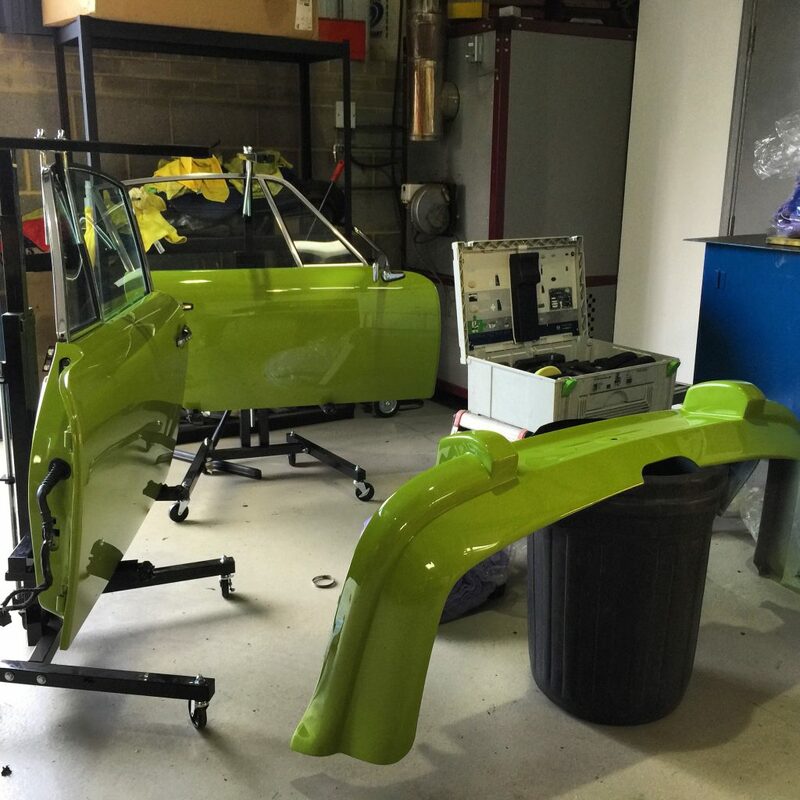 The paintwork started to take on that perfect mirror finish that we were aiming for and after several days of sanding and polishing it happened, I started to see chartreuse green in everything. Even defects in people’s faces, blemishes I wanted to sand out there and then as I got served at the chippy. It was time to rest and dream in green. What a project, what a lot of work but the results stood out for themselves, very inspiring. Solid colour paints really do show off the contours and glaze on a car which rekindled my faith in solid colours and how much more detail can be achieved. Time to shine.